As our new season quickly approaches we wanted to share our new inclusion statement that was formulated this summer thanks to our great community of volunteers, teachers and dancers! Inclusion is a big part of what we do; we are so incredibly grateful for the dedication our dance community has to creating an accepting, positive and educational environment in our program. Our statement is still a work in progress and as our community is made up of so many people we would love feedback on what inclusion, based in The Dance Ability Movement, looks like to you. encourages and inspires courage and confidence. creates a sense of unity and belonging which makes us all stronger. provides opportunities that encourage self-development and embraces individuality. embraces the idea that our differences make us who we are and highlights our strengths as individuals and as a team. provides a safe and welcoming environment that offers social, physical, and emotional growth. 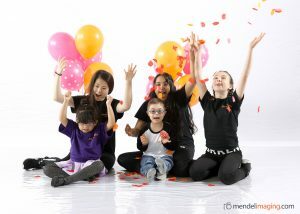 We are passionate about our dancers and believe that every child is unique and capable of dance! Every season our community amazes us with their dedication to dance and watch our dancers, families, volunteers, OT’s and community partners share and embrace our philosophy. We cannot wait for our 2018-2019 dance season to start and continue on this journey of growth and inclusion alongside all of our members!